Is Your Website as Powerful as it Could Be? Tips for 2019! Studies show that product/service assessment takes buyers about 90 seconds. When that same shopper is looking to buy online, that number is reduced to 8 seconds – 94% of those impressions are influenced by the website design. More startling, is that when shopping online, your product is not just judged for what it is but 75% of users judge your brand credibility based on your website design. 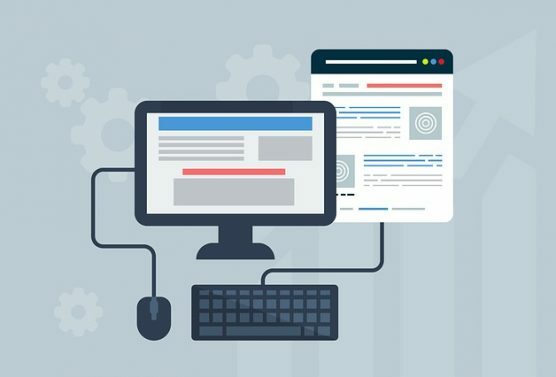 Consequently, it is vital that you have a website design that commands the attention of your site guests, so that you can maximize user engagement. But what does a user-friendly website look like? Sure, you may know your business’ website needs CPR, but knowing where to start might be a challenge. Here are some things to consider- especially if you have decided that 2019 is going to be year that you take the web by a storm! Be sure that site speed is all it can be. Site guests will leave if it takes too long to load. This may be a combination of factors….servers, networks, software your website runs on – all can affect loading time of your site. Keep the most important information “above the fold.” This means things like a descriptive headline, a brief value proposition telling who you are and what you offer, and prime media such as short videos. Keep the choices on your website’s menu simple by reducing how many there are. Studies support the adage, ‘less is more’. So, keep your form fields limited, focus on one call to action, only display social buttons for platforms you actually use, and have just one goal per web page. Nearly everyone uses smart devices to check the web, so it is imperative your website is mobile friendly. If you are going to make website upgrades, then you also want to know what is working. Be sure to add a tool that allows you to track site guests, conversions, goals, and any other elements important to you. Google Analytics is free and offers a wealth of info on your website traffic. Is your site search engine optimized? A well-optimized site will include proper content with all the key tags and elements so it will rank in search results. If your site doesn’t contain a CMS – content management system- then now is the time to have one added. The Page Progressive team is well- versed in this process and will be happy to get a CMS in place for you such as WordPress. Be certain you don’t just post on your social media platforms, but that your website has social share buttons so site guests can post your content easily – thus helping build your company’s web visibility. Security. Do not compromise on your site security. Nearly every quarter one hears about a company whose site was breeched and information was lost. Protect your site with strong security elements. Be sure to have a visible, engaging call to action – perhaps surprisingly- towards the bottom of your webpage. Make it visually appealing. Most people find whitespace appealing, so don’t overcrowd your pages. Must haves for a website – logo (usually in the top left of your site), easy to use navigation, search bar at the top, and social icons at the bottom. Your layout may vary, but by following general norms of websites, it can help your visitors get to the info they want more quickly. So, now you have 12 ideas for improving your website in 2019. But perhaps it is overwhelming to determine where to start. If this is the case, then be sure to reach out to our Page Progressive web development team. We would love to meet with you and help you determine where to begin in designing the best site for your business.